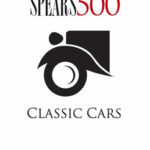 world’s most prestigious and best-connected competition and classic car dealerships. ‘We’re a bit like an art dealer with wheels on each corner of the picture frame,’ says Hamilton. He is seven years into building a collection of Gulf Oil-sponsored cars, which is now 38 cars strong and has recently doubled in value. For Hamilton, the car of his dreams will always be his father’s 1953 Le Mans winning Jag C–type. Although he sold it 26 years ago, he’d buy it back in a flash.